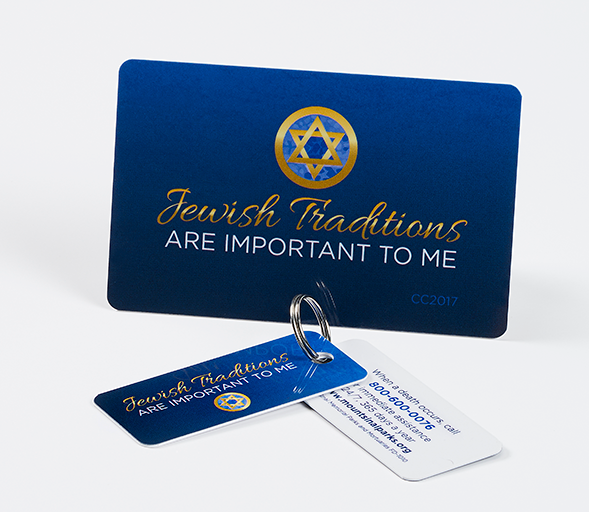 Fill out the form below to receive your free Jewish Traditions laminated card with matching key tags. If you believe that Jewish traditions are important to you, we encourage you to keep the card in your wallet or attach the tags to your keys as a personal declaration of your Jewish identity. On the back of the cards you'll find Mount Sinai's toll-free number, an important number to keep handy for the inevitable time when you will require the services of a Jewish mortuary.